Tell us about the work you do, Cathy. I work between 30-40 hours a week working as a Health Information Technology consultant. I homeschool my 8th grade son. I chose to homeschool to put him in a more positive learning environment. Most responsibilities fall on me: cooking, cleaning, homeschool, etcetera. The blessing is that despite the craziness we can follow our own schedule! What's the best piece of advice you've ever received about homeschooling? What are your favorite homeschool resources (books, blogs, websites, curriculum, etc.)? The best advice? That it's okay if your child learns at a different pace. No need to "keep up" with the brick and mortar school logic of just covering a subject and moving on. 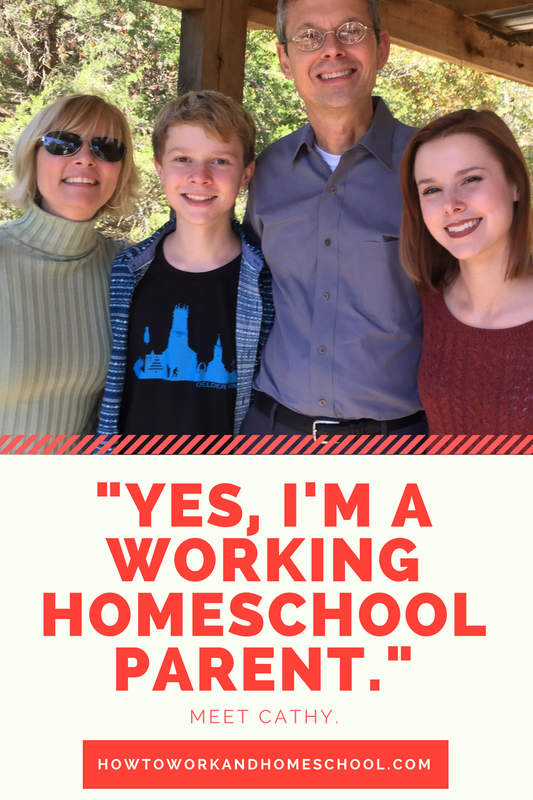 My favorite resources are my local homeschool co-ops. I could not homeschool without them. 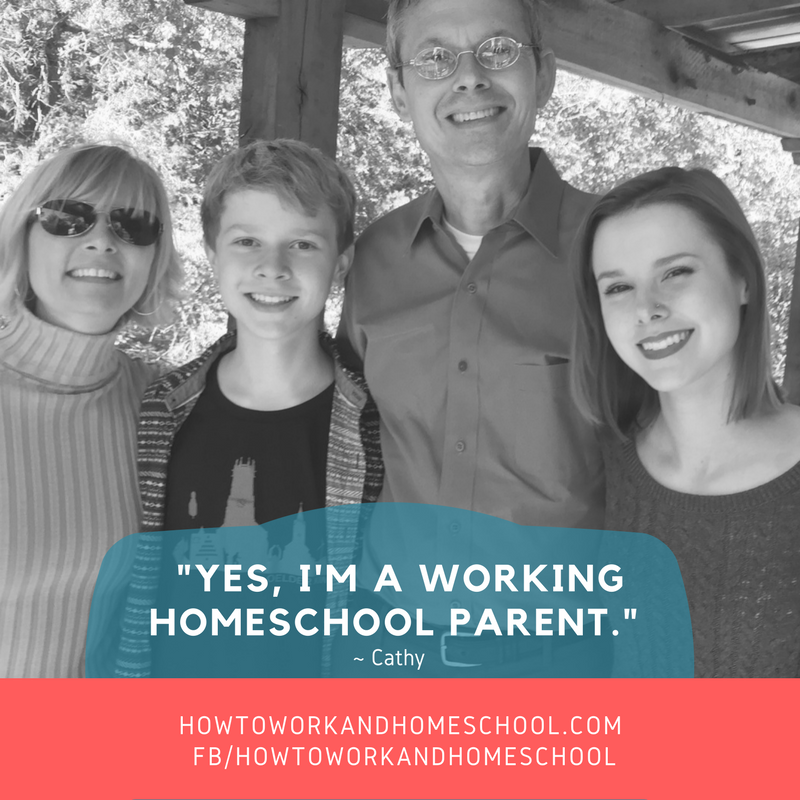 What's your best advice or tip for someone who wants to work and homeschool? You can do it! Look at how you and your spouse can adjust your schedules to make it work. You won't be disappointed! Coops are the best for working parents.